View of mashrabiyya-type openings, and reflecting pool, Madinat al Zahra Museum, Cordoba, Spain. 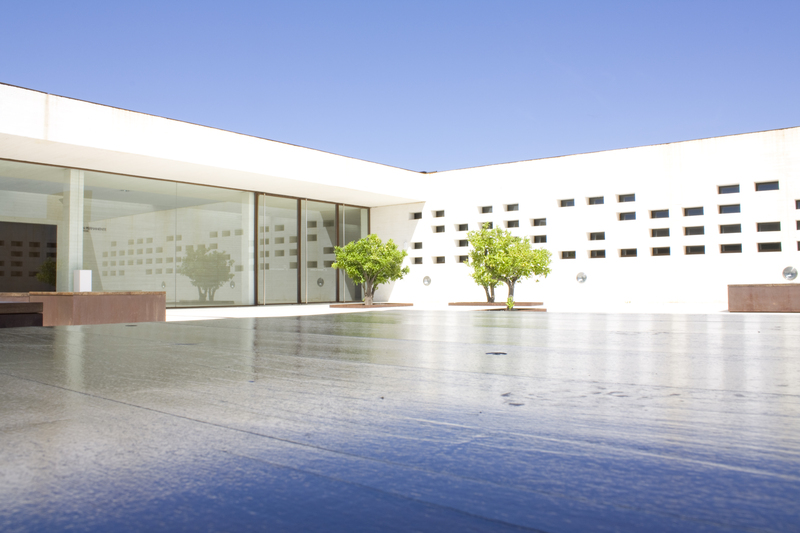 View of main patio from the lobby, Madinat al Zahra Museum, Cordoba, Spain. 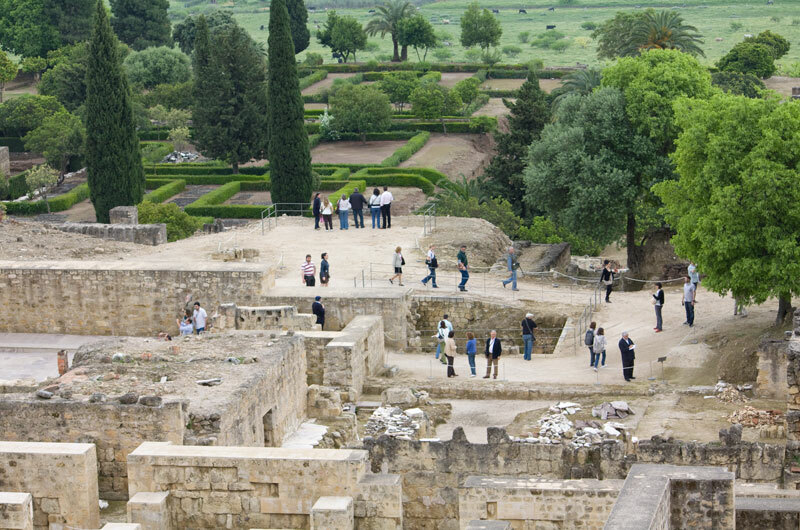 The mirador on the third level of the Museum : from here visitors can view the site, Madinat al Zahra Museum, Cordoba, Spain. Archeaological site of Madinat Al-Zahra, Madinat al Zahra Museum, Cordoba, Spain. 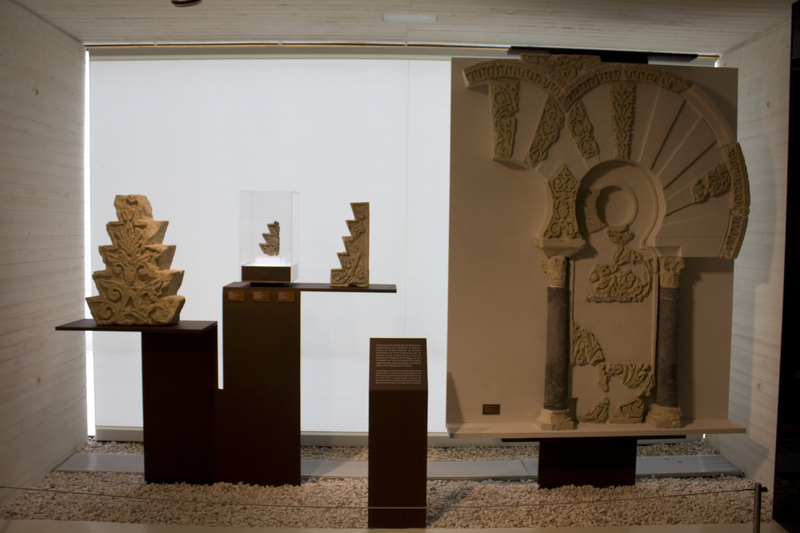 View of the exhibitions on the ground floor, Madinat al Zahra Museum, Cordoba, Spain. Site plan, Madinat al Zahra Museum, Cordoba, Spain. 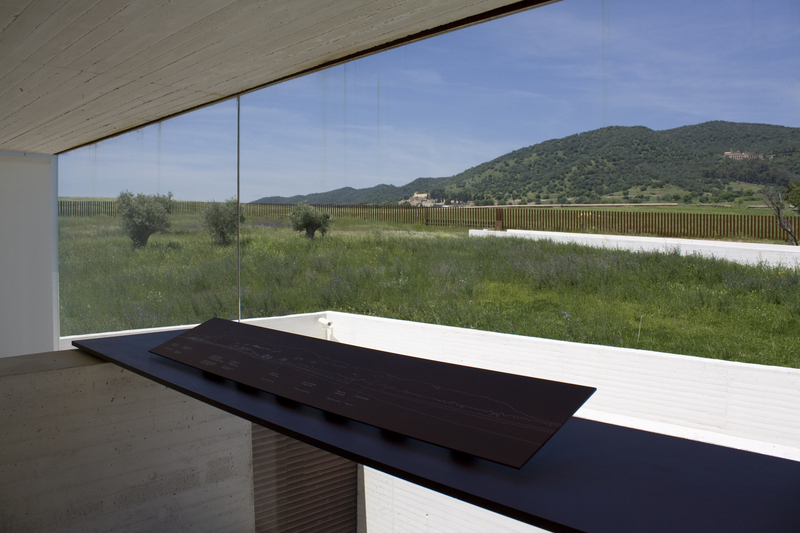 Landscape around the museum, Madinat al Zahra Museum, Cordoba, Spain. View of approach and entry, Madinat al Zahra Museum, Cordoba, Spain. Access ramp to the museum, Madinat al Zahra Museum, Cordoba, Spain. Archeologists’ storage and work area ; the main labs and offices are across the hall, Madinat al Zahra Museum, Cordoba, Spain. 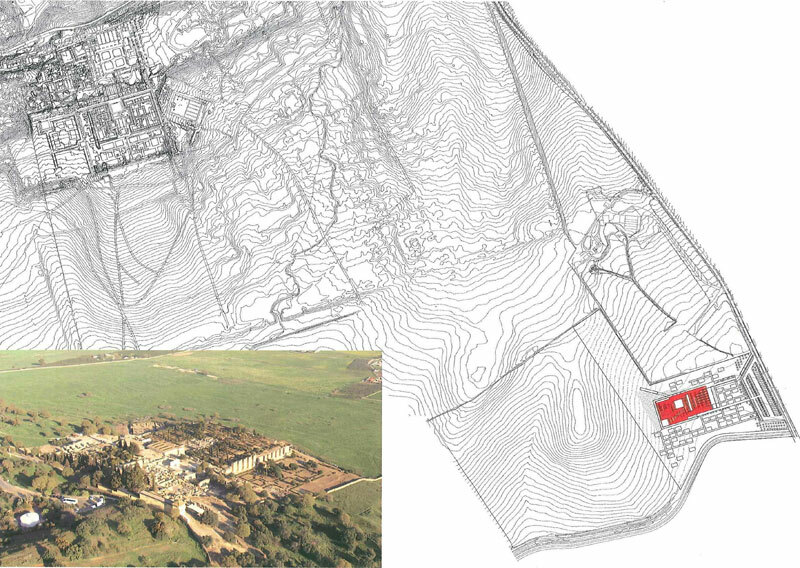 The tenth-century palace city of Madinat al-Zahra is widely considered to be one of the most significant early Islamic archaeological sites in the world, and the most extensive in Western Europe. Excavations at the site are still ongoing. 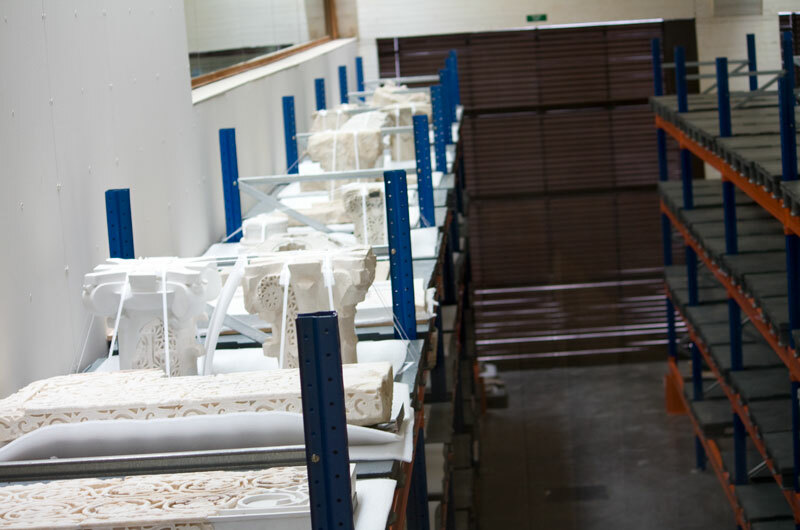 The museum was conceived as a place to interpret the site and display the archaeological findings, as well as to serve as a training and research centre and the headquarters of the archaeological team. 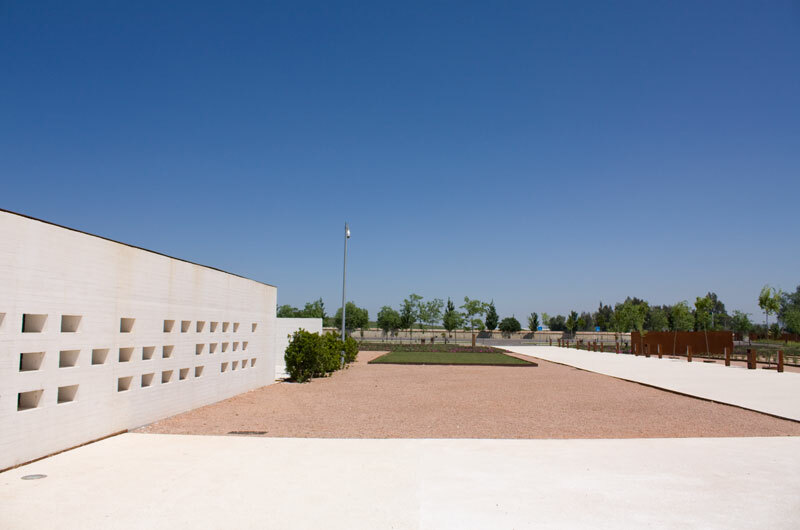 A refined and subtle design by the architectural firm Nieto Sobejano, the museum complex blends seamlessly into the site and the surrounding farmland - a series of rectangles composed of walls, patios and plantings which, taken together, seem more like a landscape than a building. The architects took the ground plans of three excavated buildings as a starting point, as though the museum had been waiting to be revealed from the ground. 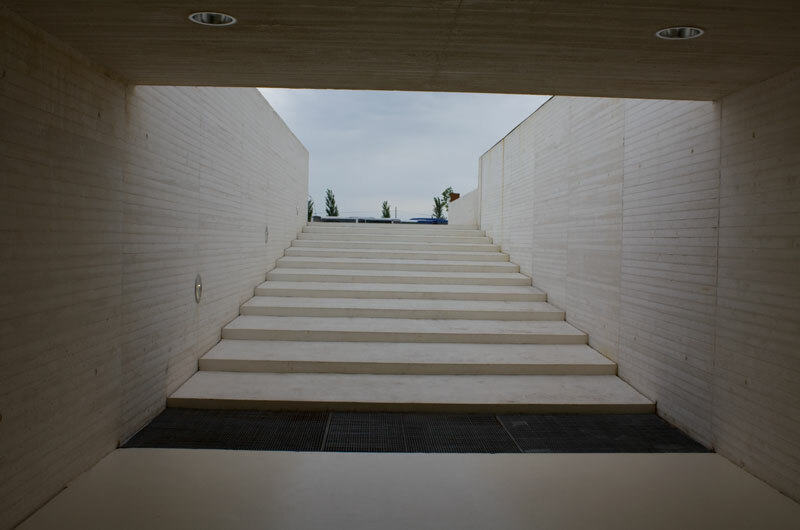 Visitors are guided through a sequence of covered spaces and voids. The main public functions are arranged in a cloister around a broad patio, a form found at the archaeological site and in the old town of Cordoba. Two more courtyards define the research centre and the external exhibition area respectively. 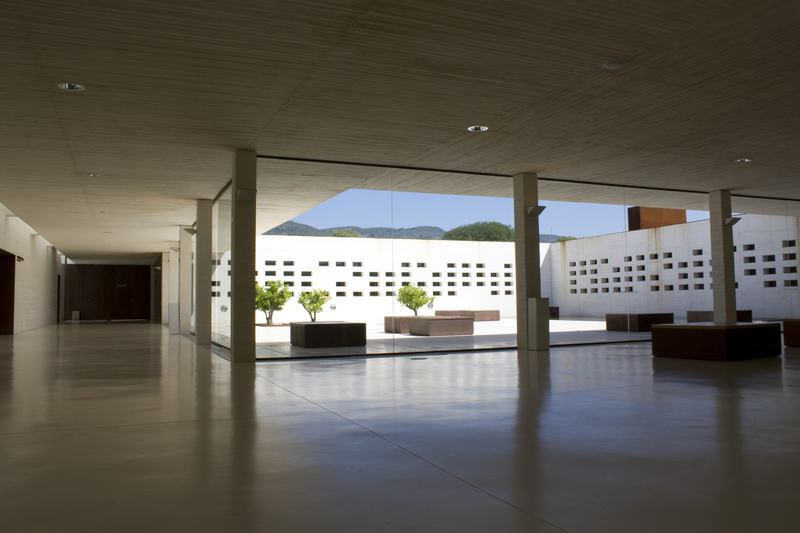 A restricted pallet of materials and simple details, with walls of poured concrete, interior walls clad in iroko wood, and limestone paving for the courtyards, are intended to evoke the rough retaining walls and temporary structures of an archaeological site. 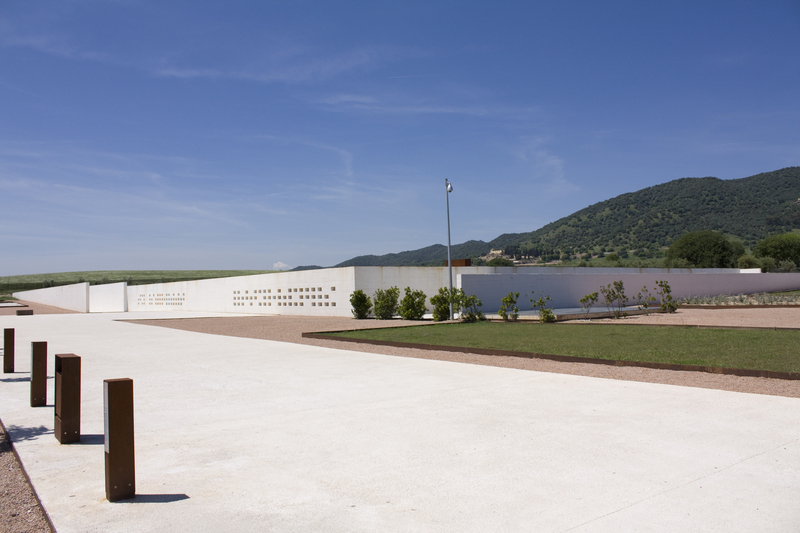 © 2018 Fondation Aga Khan, une agence du réseau de développement Aga Khan. Tous les droits sont réservés.